In 2016 I was accepted into the Emu Park Art Gallery. I have listed some of my recent artworks. 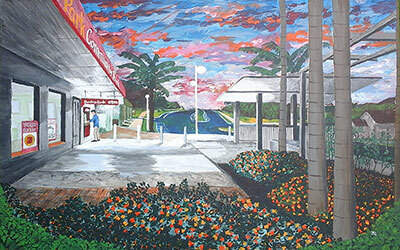 If you are interested in purchasing any works please email or contact by phone. NOTE: Down the bottom of each page you will see a button. 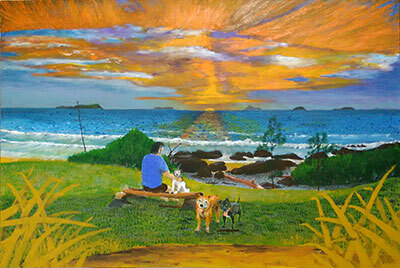 Click here “Older Posts” that will take you to more of my paintings. We Remember – By jeff Quigley …. 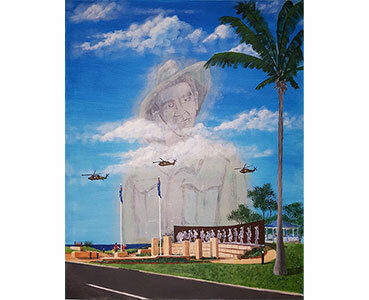 Inspiration for this painting apart from the obvious and sincere remembrance of our fallen was from a recent photo posted and shared on Facebook of two army helicopters flying over the Emu Park (Qld) Anzac Memorial. 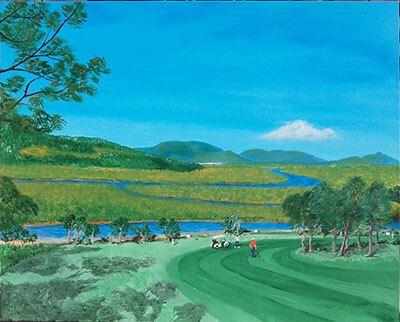 One for the Golfers or lovers of Emu Parks Coorooman Creek – This one is title “King Tide at Coorooman from the 6th”. Acrylic on canvas. 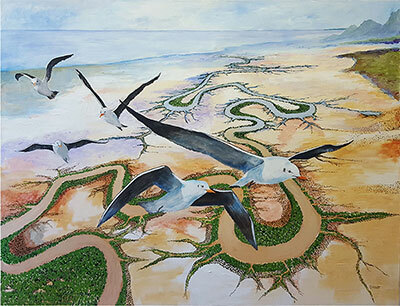 Unframed – Large painting 1010cm x 76cm. Price $400.00 I finished ‘King Tide’ early July 2017. 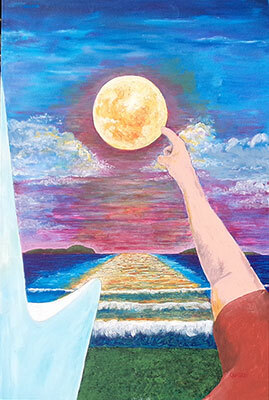 “Touch The Moon”. Acrylic on canvas. 50 x76cm. Price $250.00. (Sunday 14th May 2017). There is a bit of a story behind this one – I will tell you all about it if you bump into me. SOLD …. SOLD….. SOLD …. 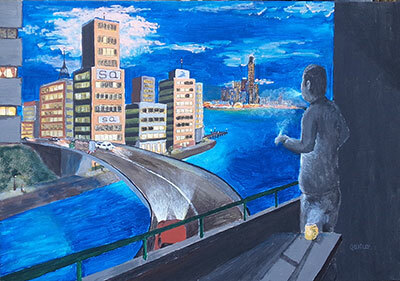 City Night, smoke and coffee Painting . 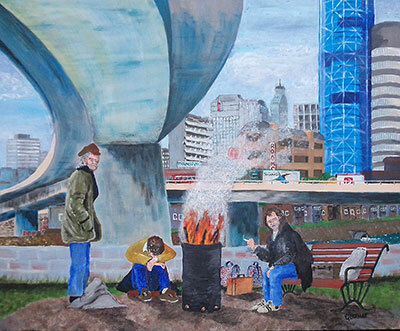 Something a bit different – Called this one “City Night, smoke and coffee”. Acrylic on canvas. 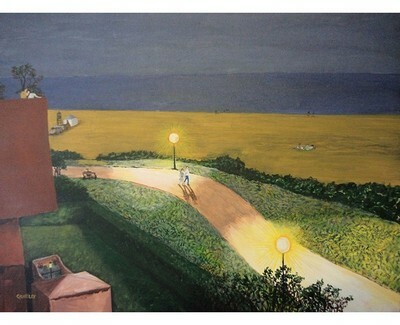 76 x 50cm. Price $250.00 I finished ‘City Night’ today (Thursday 11th May 2017). 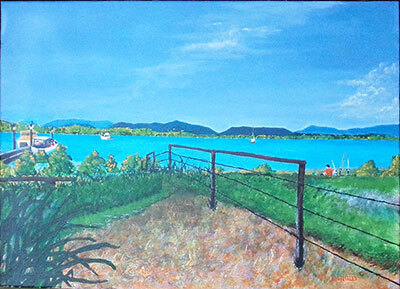 Nestors Fence – Coorooman Creek – original artwork (by Jeff Quigley) Artwork by Commission — Emu Park, Queensland Acrylic – size 60cm x 45cm – Unframed. Painted May2017 For any enquiries call Jeff on 49396587.